Now, you can join others who are making thousands of dollars per year offering the Save Your Christian Marriage eBook to your customers. Our visitor to sales rates are extremely high. 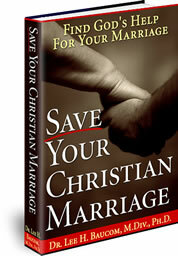 This product is not available in bookstores, yet covers an important area--Saving Marriages! And our readers have a very low return rate. All this means profit for you. 1. It's completely free to sell. No dues, no initiation fees -- nothing to buy. No inventory costs, no hidden fees, no drop-shipping. 2. Your commissions are deposited into your account in REAL TIME. All you need to do is open your FREE account, set up your links as shown below and begin advertising your link with banners, text links or ads in your own ezine. (click here for ways promote the product). 3. You will receive a check from Clickbank every 2 weeks (not once every 3 months like from Amazon or other affiliate programs). 4. Our commission is high, at 50%, with the cost of the eBook at $49.97. This leaves you a profit of almost $25.00 per book. CLICK HERE TO COMPLETE THE AFFILIATE SIGN-UP! Simply replace [YourID] with your Clickbank ID. And feel free to use the graphics below, hyperlinking that graphic, as well as any other hyperlinks you create. Simply right-click on the image below, and choose “Save Image As. . .” or “Save Picture As. . .” Assign a name, then use that image on your website. After joining our group of affiliates, all you have to do is provide your web site visitors, email clients, ezine subscribers, or even your friends and family with your ClickBank name link. We do the rest. We communicate with the customer, complete the sale, and deal with any customer problems. YOU receive the commission. And you can check on your commissions ANY TIME, 24 hours a day, 365 days a week. Then, every two weeks, just cash your check! Because of ClickBank’s Affiliate Program, the buyer will not have access to your email address our web address. Your information is held confidential! After you sign up, email us at affiliate@saveyourchristianmarriage.com so that we can provide you with assistance and let you know about updates to our product. ClickBank offers affiliate programming to 24 more than 20 countries outside the US. However, this falls under ClickBank’s jurisdiction. You can check with them to determine your eligibility. Since we have no control over postal issues, we cannot help you with problems with delivery of your check. We also cannot offer advice about tax liability due to income from the sales. 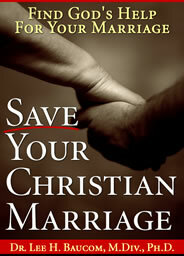 Thank you for your interest in Save The Marriage. We look forward to our association with you.